Edward R. Nalitz was born and raised in Dormont, Pennsylvania where he joined the local volunteer fire department. Ed was in his mid-thirties when he volunteered for the army. At that time, he had a fiancee who was a widow with three children. He promised to marry her, but only after the war. He feared she could become a two-time widow. When he journeyed overseas with the 39th Infantry Regiment, he took a small piece of home with him. His fireman badge. 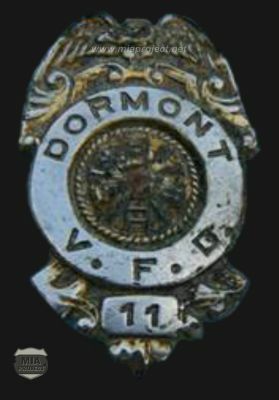 The Fireman Badge belonging to Edward Nalitz. He carried it across North Africa, Sicily, France and Belgium. Engaged in heavy fighting with his unit north of the Elsenborn Ridge, he lost the badge in the mayhem. 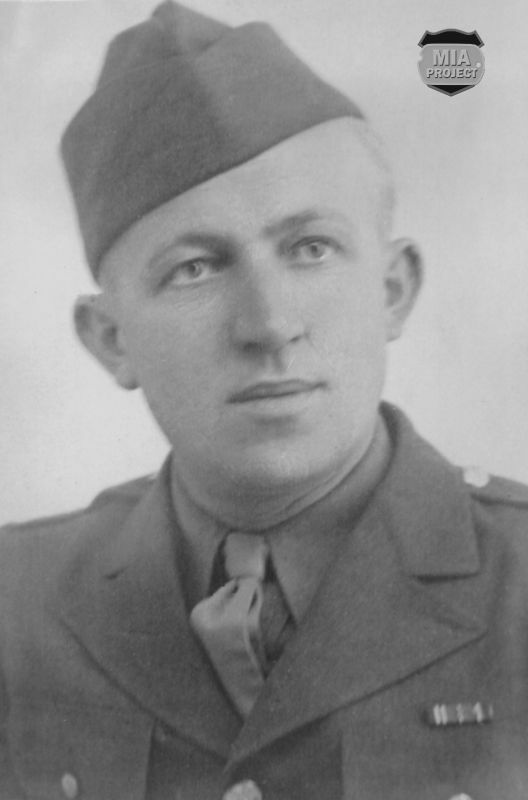 After the war, Ed came back home with a Bronze Star and a Silver Star. He married his fiancee and resumed work as a printer and became a father. He died in 1969. 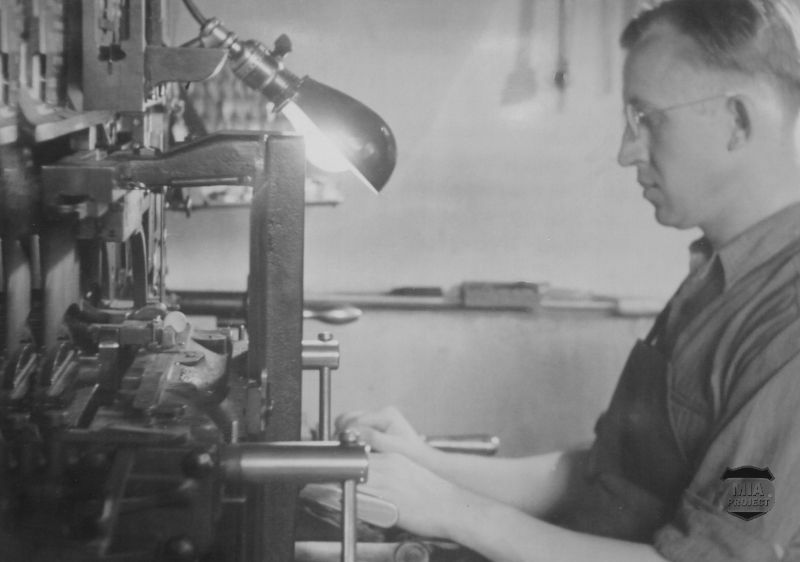 Post war: Edward working in his printing business. Mr. Seel, a member of the MIA Project, located Dormont, a suburb of Pittsburgh and contacted the city hall. His letter ended up on Fire Chief Mike Auth’s desk. A search for fireman #11 began. During WWII only three firemen served in the Army and only one in the ETO, Edward Nalitz. Regrettably, Ed had passed away but his wife was still alive at age ninety. Unfortunately, she hung up the telephone when the chief tried to explain the purpose of his call. He also found Ed’s son, Edward Junior, who lived in the Pittsburgh area. The chief contacted him and received a positive response. The story of the badge appeared largely in the local newspapers. After exchanging emails for two years, the first meeting with Ed’s son occurred in 2002 at a hotel in Pittsburgh. MIA Project members JL Seel and JP Speder were there attending a 99th Infantry Division Association annual reunion. 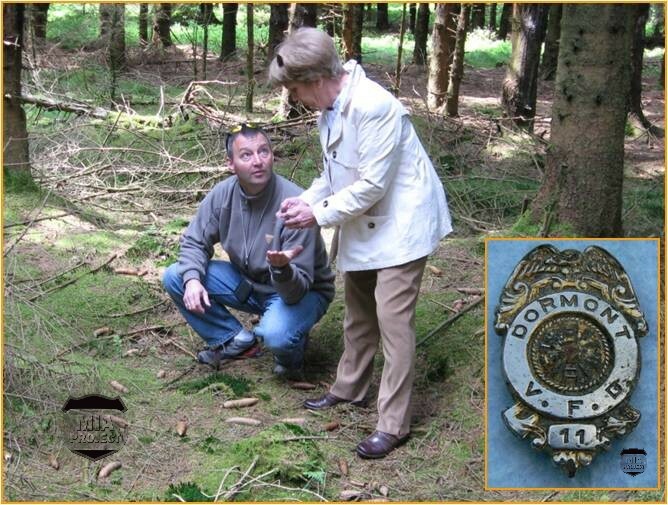 In May 2008, Seel guided Ed’s daughter, Mary Lou Carlson, to the foxhole where her dad lost his badge sixty four years earlier. There, he handed her the badge. Ed’s wife would turn 100 years old in October of that year, the badge would be a perfect birthday gift. Mr. Seel handing over the Fireman Badge to Ed’s daughter in May 2008. Special thanks to JP Speder and the other people at www.miaproject.net for allowing me to republish their story on my website here.